More map goodness – this time it’s three-dimensional fun. The Geografia Blank Sectional Globe shows the “earth’s axis at 23.4 degrees” – that bit interests me in terms of my brief but rewarding cartography studies at university. Odds are, you’re not a cartographer, so it probably won’t matter so much to you. 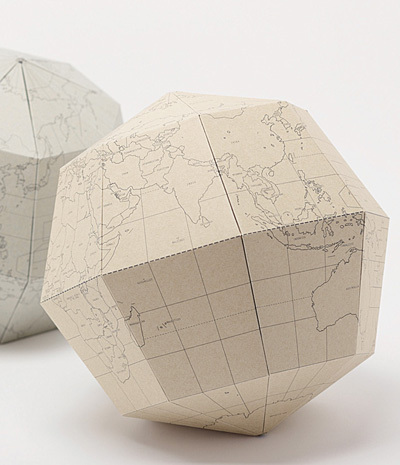 This beautiful blank globe is waiting to be built and coloured in (or left blank, if you want). I like the fact that you can also leave a longitudinal section out of the globe to show off the inner layers of the earth’s surface and core. 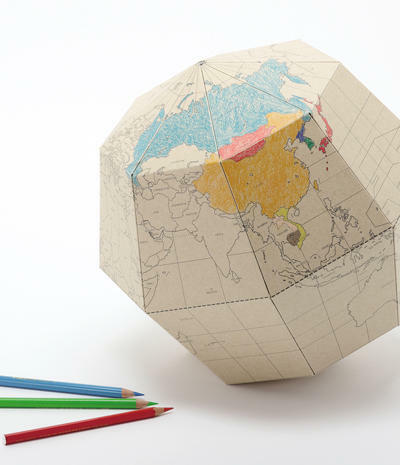 The Geografia Blank Sectional Globe is available at NoteMaker for $49.95.